This one is as simple as it gets. 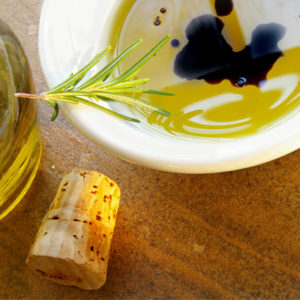 Throw the extra virgin olive oil and balsamic vinegar into a jar, stir it, and add salt along with pepper to taste. What’s also good about this dressing is that it’s flexible with many salads, and it works well with sandwiches. Try experimenting with different flavors of olive oil and balsamic. Cook the bacon until it’s finely crisped, and break it into crumbles. Then throw it into a saucepan on medium heat with the balsamic, red wine vinegar, salt, shallots, mustard, and pepper. Whisk the ingredients gently, and remove the pan from the heat before it starts to simmer. After you let it cool for about a minute, whisk in some extra virgin olive oil. This recipe goes great with spinach-based salads. Put all of the ingredients into a bowl and whisk them together. You can also use a blender if you’d prefer. It’s that easy. The raspberry flavor goes great in salads that use nuts and feta cheese. A well stocked pantry can go a long way when cooking at home. With high quality ingredients, you can make something that’s better than what you can find in any grocery store. Stop by Kalamazoo Olive Company at 449 Central Avenue, St. Petersburg Florida, the next time you need to restock your pantry. 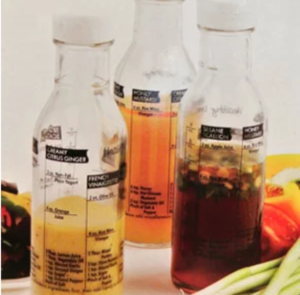 Not only do we have a variety of high quality extra virgin olive oil and balsamic vinegar, but we even have glass shakers that are specifically made for salad dressing.